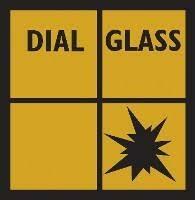 Dial Glass Ltd - Windows/Doors/Conservatories based in Gillingham, Kent. We are a family run domestic and commercial glass and glazing business with over 25 years of experience based in Gillingham, Kent. We pride ourselves on providing a fast and efficient service for glass repairs and glass replacement and have skilled professionals to provide the best solution possible. All types of glass repairs and replacements can be undertaken across the whole of Kent. We offer a 24HR Emergency Boarding-Up Service to the Retail, Domestic & Commercial Sector. Replacement misted and broken units.